Today I thought about doing a random post on my favourite pieces of jewellery. Previously I had posted on my Estelle jewellery collection. You can read it here. I usually prefer wearing gold jewellery. I own many pendant sets with matching earrings and finger rings. But I do get tempted to buy imitation jewellery whenever I shop online. The temptation is just irresistible. So here are a few pieces of jewellery which I had purchased online over the course of two years. Sparkle Street gold earrings – Price 280 INR, MRP 700 INR. I purchased this pair from Paytm last year. This pair is versatile and goes well with ethnic as well as western clothing. Sparkle Street pink earrings - Price 245 INR, MRP 700 INR. This pair too was purchased from Paytm. I usually pair this up with a formal dress of the same colour. Heart shape 18k rose gold plated earrings – Price 249 INR. I purchased this pair from Ebay. The seller claims these earrings are non-allergic and are imported from Hong Kong. The cubic zircon stone sparkles and looks beautiful. I match these earrings with my pink outfits. Colortone Mystic Topaz Heart Shape Sterling Silver Stud Earrings – Price 499 INR. I bought this pair from Amazon. I love the heart shaped topaz stone. It sparkles in bright light. The earrings are genuine sterling silver having the 925 stamp. Yellow Chimes Sparkling Colors Flowerets Vine Swiss Cubic Zirconia Clip-On Earrings. Price – 750 INR, MRP 1,500 INR. This is such a beautiful pair. This photo does not do justice. It looks even better. It has 18k rose gold plating which makes it durable and will not fade easily. The stones used are AAA swiss cubic zircons. Micro inlay for zircons is used. This pair is skin friendly as it is nickel free and Lead free as per International Standards. I purchased this pair from Amazon. I pair these earrings with formal dresses. I also purchased a matching pendant and bracelet (pic below) from an Ebay seller via whatsapp (If you need her contact number please message me via the contact form). This gold plated pendant cost me around 650 INR. It is priced at 900 INR on Amazon. As bright as a vine of colourful flowers, this rectangular designer pendant energizes any outfit. It elegantly combines vintage and modern elements and sparkles in a rainbow of crystal colours combined with 18K gold-plated metal. This pendant shows a feminine gradation of crystal colours along with good craftsmanship. The pendant comes with a rose gold plated chain. The bracelet is just amazing. The photograph does not do justice. This cost me 1250 INR whereas it is priced at 2255 INR on Amazon. This is a lavish and luxurious piece for special occasions! 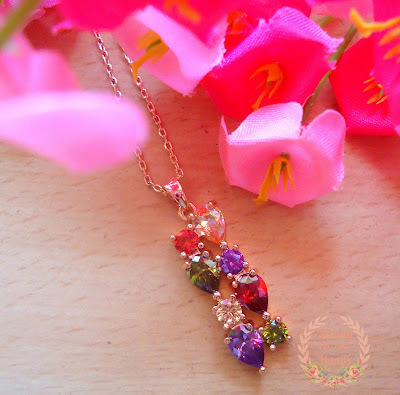 Romantic, colourful and glamorous combined with 18k gold plating. This must have design with breath taking beauty in rose gold plating has all the colours of life. It is an awesome piece for parties or functions and enough to grab you tons of compliments. The bracelet has AAA Swiss Cubic Zircons. Micro inlay for zircons is used. Three times of 18k rose gold plating is used which is not easy to fade. This bracelet is also skin friendly composed of Alloy (97% tin and 3% bismuth). It is nickel free and lead free as per international standards. The seller also sent me these two earrings as a gift. Such a lovely gesture! Austrian Crystal Pink earrings. I ordered these earrings from Aliexpress. They arrived within a month. This pair cost me around 71 INR. The price is unbeatable. The quality is excellent. These earrings have 18k gold plating. Silver Plated Earrings – Price 249 INR. I purchased these from Ebay. They look lovely. I pair these earrings with mostly formal outfits. Rose Gold plated pendant and earring set – Price 360 INR. I bought this set from Ebay. It also comes with a chain. The rose gold plating ensures that it won’t fade easily. The zircon crystals sparkle in bright light. This set goes with any outfit. Zoey brown earrings - Price 120 INR. I bought these from Jabong last year. This pair is embellished with Austrian crystals. The base material is brass. I usually pair these earrings with formal wear. Zoey stylish multicoloured ring – Price 149 INR. I bought this ring from Jabong last year. This cocktail ring is ideal for party wear. It is embellished with Austrian diamonds. Pretty Woman heart & floral earrings – Price 295 INR. I purchased this pair from Snapdeal two years back. They are actually big in size and I wear them only for parties. I love the design though. I recently spotted these earrings on Ebay. Ivory tag earrings – Price 299 INR. I received these with My Eve Box subscription from My Gift Box. I wear these with ethnic clothing. 18k rose gold plated hoop earrings – Price 300 INR. I bought this pair from Ebay. These are very small in size. 18 k rose gold plating ensures that it won’t fade easily. These earrings can be worn on any outfit. Nix-J purple butterfly crystal earrings – Price 177 INR, MRP 231 INR. I purchased these earrings from Ebay. I like the butterfly design. Caratcube Modish Contemporary Pendant Set – Price 288 INR, MRP 1947 INR. This set is so pretty. It also comes with a chain. The pendant set has 18k gold plating and is ideal for formal wear. I purchased this set from Snapdeal. It is also available on Ebay. Gardenia Flower Crystal Ear Studs – Price 165 INR. I purchased these earrings from Ebay. They go on any casual outfit. Noble Heart Zircon Earrings – Price 249 INR. I bought these earrings from Ebay. These earrings have 18k rose gold plating and are non allergic. Water drop dangle earrings – Price 249 INR. These earrings are 9K Yellow Gold Filled and Non Allergic. I purchased these from Ebay. They can be paired with any matching colour outfit (yellow or gold colours). The cubic zirconia stone sparkles in bright light. Red tear drop dangle earrings – Price 299 INR. These earrings are 9K Yellow Gold Filled and Non Allergic. These were also purchased from Ebay. De Moda butterfly stud earrings with stone – Price 159 INR. I purchased these from Ebay. I love the design. The stone sparkles in bright light. These earrings have rose gold plating. I purchased these crystal earrings from aliexpress for around $1.2 which comes to 68/- INR. These are my favourite for party wear. Antique Green earrings – This pair was gifted. I wear these earrings with ethnic outfits and tunics. I had purchased these earrings for casual outings from Yebhi two years back. Each one was priced at around 100 INR. This is a multi coloured floral bracelet. I purchased this online last year from Jabong for about 120 INR. It looks so pretty. These are cuff bracelets. I’ve wear them a lot with casual and ethnic outfits. This red beaded bracelet was gifted. Here are some more bracelets. All these were purchased online. I don’t remember the exact price. I match them with my casual outfits. As far as necklaces are concerned, I am not a fan of chunky and heavy neck pieces. I prefer pendant necklaces. This is my favourite pendant necklace. My best friend gifted this on my birthday. Titanic "Heart of the Ocean" Pendant Necklace. I am in love with this pendant necklace. I purchased it from Ebay for around 180 INR. Since I had some Paytm cashback at my disposal, I purchased these pearl necklaces and bracelets. I just love imitation jewellery with colourful sparkling stones. I mostly prefer 18k gold or rose plated jewellery as they do not fade quickly. I learnt a bitter lesson during my early years of online shopping (5 years ago). I used to buy at least four pairs of imitation jewellery every month as they were very cheap and to my utter disbelief these pieces of jewellery lost their colour and shine after just two uses. That’s when I decided not to purchase any alloy/imitation jewellery. I just hate it when my things go bad. So now I only purchase 18k gold or rose plated jewellery, 24kt gold plated jewellery (mostly Estelle brand) and sterling silver jewellery. The price does not matter as I know such jewellery will last long. Another advantage of gold/silver plated jewellery is that even if you are allergic to artificial/imitation jewellery, you can use these without any worry as they are usually nickel free and lead free. If you are looking to buy such gold plated jewellery then I would recommend ebay. They have wonderful pieces. You can also buy gold plated jewellery from Aliexpress. They have products at jaw dropping prices. Jewelry on fleek! I love your collection - very vibrant colors and classy! Thanks for sharing! Wonderful post so nice.I really like your way of summarizing the things in one post. Its a great work. I really like the earrings, wonderful collection of jewellery, Love all this jewellery. Nice blog.I follow your blog.its inspiring.Thank you. Each and every online designer jewellery is too pretty and I just loved the Diamond Earrings Online. If you are looking for trendy accessories online in USA, then EventyrDesign is one of the best choices for you. Lookup New Year Amazing Fashion Jewellery Designs at Fabfashion. Get Amazing Discount New year Special Discount on every Jewellery Item. Fashion Jewellery flourishes when bold designs are in vogue and that is especially the situation this season. The high fashion look is well known in pieces of jewellery, studs, and arm ornaments with common parts adding to the Design. Nowadays is the time when especially the youngsters and the collage going students do the fashion jewelry online shopping?Generally it has become the trend now not to waste too much time on hopping from one store to another in search of the perfect piece of jewelry. Now is the easy process which is liked and preferred by most of the people. Beautiful collections!! 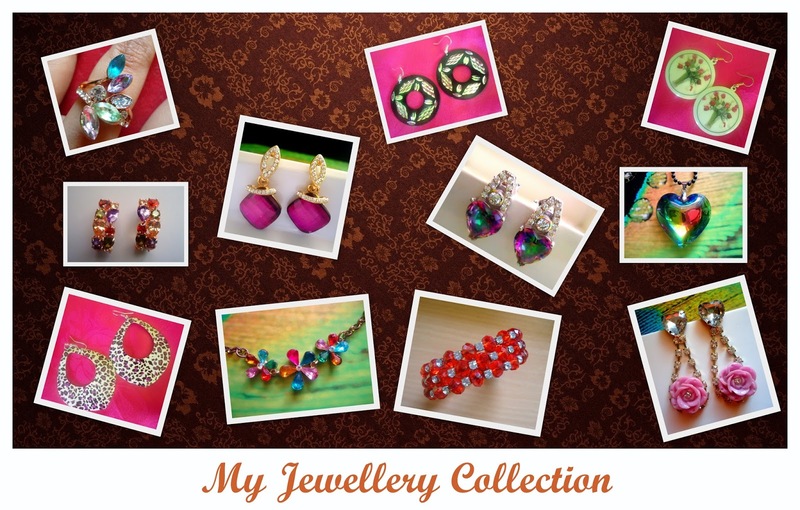 Thank you for posting such a unique designs of gold plated jewellery designs of earrings and bracelets. i found one more E-Commerce site shopberserk ,they have lot of gold plated jewellery collection at best price. If you are looking for gold plated initial necklace, then visit Mermaid Capsule. The store offering great collection of fashion jewelry sets at affordable price.